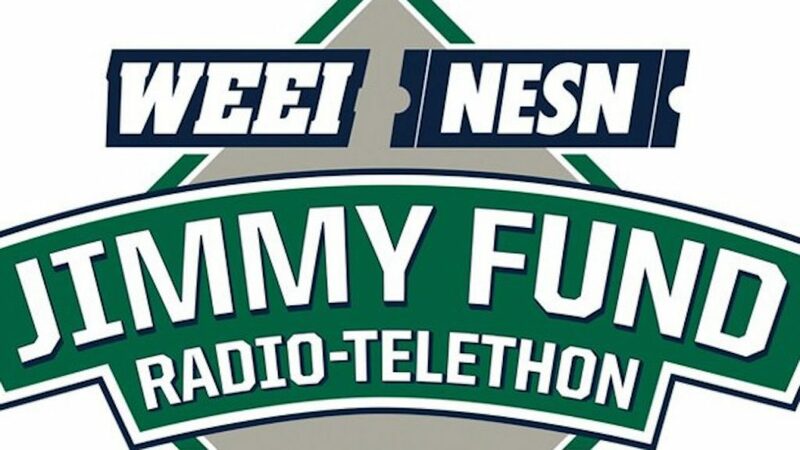 It’s that time of year again—time to open up your hearts, ears, and wallets to donate the WEEI and NESN Jimmy Fund Radio-Telethon on this upcoming Tuesday and Wednesday. Regardless of the Boston Red Sox’ record at this stage of every season, this telethon really brings smiles, as well as tears of both joy and despair. There are stories that are shared every single year, ones of those who are battling cancer, as well as those who have won their battles, and even the stories from families who lost a loved one to this cruel disease. All of these stories hit home to me, as I was a cancer patient who went through the Dana Farber Cancer Institute and the Jimmy Fund in Boston. When I was just a two-year-old boy when I was diagnosed with Ewing’s Sarcoma—a rare bone cancer most commonly found in children—in my right leg. When you’re a young child like I was, you hear the word cancer and it’s like a foreign language. You’re just learning the very basics of human language, and then this word that sounds simple, but has a very broad concept, comes into play and you don’t know what it means. All I knew was I was very sick and my parents were sad, which is where I decided I needed to be strong for them. But I couldn’t be strong alone, which is why help from Jimmy Fund makes all the difference for every child battling cancer. They have the best nurses and doctors in the world, as well as the ‘Playroom Lady’ Lisa Scherber, who make you feel at home, even if you are battling a disease that is life-threatening. They make every child and family member feel like their number one priority each and every day. However, here’s why you should donate. While many people will argue that, no matter how much money is raised, there will never be a day where we can all look at cancer and basically treat it like a bad cold. While that may be true for this generation, and potentially the next, there are miracles happening every single day in the research department when it comes to finding a cure. For example, let’s take a look back at my case. In 2003—the year of my diagnosis—the long-term survival rate of someone with my cancer was five years. Just five. Yet here I sit fifteen years later, going off to college in a couple of weeks, and getting the chance to watch my hometown teams compete every night for the ultimate goal of a world championship. I get to listen to all of these stories every telethon, where kids fighting cancer are battling with a much better chance of survival than I was in 2003. It’s all thanks to those who donate, as well as everyone in the research and medical department. I can’t think of a better place to donate your money than to the Jimmy Fund, because they put in an honest day’s work every day and night making sure these children are getting the treatment they need, as well as being able to feel like they’re still a normal child. Whether by doing arts and crafts, playing video games, or talent shows, they all get to live the normal life of a child. Thank you to the Jimmy Fund for all that they do. Because without them, I wouldn’t be sitting here writing this article to help spread awareness for this great organization. So PLEASE donate on Tuesday and Wednesday to the Jimmy Fund! Even if it’s just one dollar, it goes a long way.